Activists have released a video showing Israeli soldiers handcuffing a 50-year-old woman to a chair and arresting her in Hebron city center early Tuesday morning. The video shows Gamila Hassan al-Shalaldeh protesting the arrest of her 20-year-old son Ragheb al-Salaymeh as he is taken, blindfolded and handcuffed, from their home in Shuhada street. The woman collapses and is surrounded by around nine heavily armed soldiers, who then seat her in a chair. Later, they handcuff her to the chair and at 5:20 she is heard crying and shouting "Leave me alone, I want to go home." A soldier tells the cameraman to stop recording. He continues to film from inside a home, and the woman is seen being taken away in a police van. BETHLEHEM (Ma'an) -- Israeli forces arrested a man in the south Hebron hills on Monday after ordering villagers to stop construction work on a water cistern, an Italian peace group said. Operation Dove said that Israeli forces entered al-Mufaqarah village on Monday evening and arrested a local man who refused to stop work on a village water cistern. The man, identified as Said Raba, was beaten by soldiers and taken away, the group said. He was taken to Kiryat Arba police station and charged with aggression toward the soldiers. While the soldiers and the policemen were holding him, kneeled and handcuffed, some 60 Palestinians from nearby villages rushed on the scene, according to the NGO. The group said Raba's 21-year-old daughter was hospitalized after being struck by soldiers. 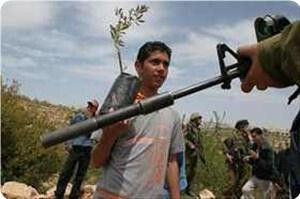 Palestinians later arrived on the scene and began rebuilding the damaged water tank, Operation Dove said. Palestinian farmers living in the south Hebron hills complain of constant attacks by settlers living in formal settlements and a crop of illegal outposts in the area. Israeli authorities have outlined plans to demolish and evacuate eight villages in the area to make space for a military training zone. Israeli forces detained 24 people across the West Bank overnight Tuesday, Israel's army said. Seven people were arrested in Nablus, five in Ramallah, three in Jenin, three in Hebron, two in the south Hebron hills, two in Tuqu, one in Anata and one in Yatta, an Israeli army spokeswoman said. They were detained "on suspicion of illegal activities", the spokeswoman added. Palestinians living in the occupied territories are routinely arrested by Israeli forces, usually on the pretext of security. Around 40 percent of Palestinian men living in the occupied territories have been detained by Israel at some point in their lives. There are 4,596 Palestinian prisoners being held in Israeli jails as of October 2012, according to Addameer. This figure includes 184 administrative detainees held without charge, 189 children and nine women. The Israeli occupation forces (IOF) carried out at dawn Wednesday violent raids on homes in Jenin city and its refugee camp, kidnapped a citizen and established temporary checkpoints. Eyewitnesses told a reporter for the Palestinian information center (PIC) that a dozen of Israeli military vehicles stormed Jenin refugee camp at two o'clock in the morning and ransacked the house of Abdulfadel Jad'awn before kidnapping him to an unknown destination. They added that the troops also raided homes in the areas of Hadaf and Wadi Burkin in the refugee camp and patrolled neighborhoods. The IOF also invaded the neighborhoods of Marah and Jaberiyat in Jenin city and stayed combing them until six o'clock in the morning. The IOF also kidnapped on the same day at dawn 25 Palestinian citizens in raids in the occupied cities of Al-Khalil, Nablus and Jerusalem. In a separate incident, Palestinian activists disclosed a videotape showing Israeli soldiers physically assaulting a Palestinian mother as she was trying to prevent the arrest of her son. The incident happened on Tuesday when Israeli soldiers raided the house of an anti-settlement activist named Abdulrahma Salaymeh in Al-Khalil city to arrest him for his participation in the weekly marches held against the segregation wall and settlement activities. As the video scene showed, the mother of Salaymeh fainted, but the soldiers cruelly took her in chain along with her son to an unknown destination. The Palestinian Center for Prisoners' Studies confirmed that the occupation authorities and the prison administration deliberately continued their provocative and humiliating intrusions and hostilities against prisoners in Raymond jail. The center director, Riad al-Ashqar, affirmed that heavily armed special forces accompanied by sniffer dogs stormed Tuesday morning Section 1 in Raymond and conducted wide inspections for several hours after closing the section. They aggressively and inhumanly raided the section and tied prisoners blocking them in a place then held a thorough inspection to everything in the rooms looking for forbidden materials. Al-Ashqar pointed out that the administration had stormed Section 6 in Raymond prison at the end of last August and assaulted prisoners beating them with batons and heavy rifle butts, resulting 8 injuries among the prisoners. In addition it imposed several sanctions on the prisoners, including confiscating prisoners’ possessions and belongings, turning the section to an isolated section, and executing random transferring to prisoners from a prison to others. The center appealed the humanitarian organizations to intervene to protect Palestinian prisoners in Israeli jails from the brutality of the occupation and its reprisals practices, especially Raymond prison. Sources inside Raymond desert prison told the Ministry of prisoners in Gaza that a force from the Israeli Masada unit broke into the prison's Section 1 at a late hour on Tuesday, and searched captives' rooms under the pretext of "searching for phones." The prisoners told the Ministry that the Masada force searched the section's cells and attacked the prisoners who refused this provocative procedure against them, noting that the Prison Service has been, deliberately and always, putting restrictions and exercising provocations against them through the repeated aggressions on the prison's sections. The detainees revealed that following the attack they have filed a complaint to the Prison Service against the resolution to deprive the prisoners from Gaza of the canteen. In turn, the Ministry of prisoners’ issues condemned the repressive practices adopted by the Prison Service against the captives, as well as the raids and night searches to which they have been exposed. It also called on the International human rights organizations to act in order to stop the repressive practices against the Palestinian captives, by exposing the practices pursued by the Prison Service against them and especially against the patient prisoners. The Palestinian prisoner Odai Jihad Mahfouz al-Kilani from Tubas Governorates launched his open hunger strike protesting against the extension of his administrative detention. Al-Kilani said in a letter from Megiddo prison that after spending 19 months in administrative detention, the court refused to release him, and renewed his administrative detention in the same day of his supposed release. He declared his hunger strike until his release, demanding to raise the issue of administrative detainees in light of the Prison Service's violation of its agreements. Israeli Prisons Service (IPS) in Megiddo prison transferred him to solitary confinement after he declared the strike. The Islamic and National factions and activists organized on Tuesday evening a sit-in near the Damascus Gate in occupied Jerusalem demanding the release of hunger striking prisoners in Israeli jails. 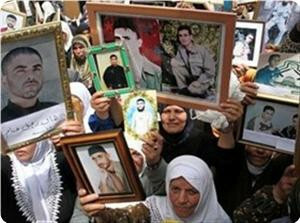 The protestors raised photos of prisoners and demanded the release of the hunger striking prisoners and those who suffer from very bad conditions. Shirin al-Issawi, lawyer and sister of hunger striking captive Samer al-Issawi, warned the occupation forces of ignoring the calls to release the hunger strikers, and said that her brother Samer who has started his hunger strike since 91 days has been suffering a serious health condition and has lost about 20 kilograms of weight. She also stated that her brother has been transferred to the hospital and that he was abused during his transfer, noting that the occupation authorities have been preventing the lawyers from visiting him. The lawyer hailed the prisoners who have been waging a battle against the occupation and called on the international community and the free world to support and stand alongside the prisoners. A Palestinian human rights center denounced preventing prisoners' families' visits from Gaza again without justification after they were resumed recently. Equal Human Rights center appealed in a statement issued on Tuesday all international and human rights institutions, particularly the Red Cross as an international institution, to pressure the Israeli government to re-allow them to visit their sons who were deprived from seeing them for more than six years. The center stressed the need to take practical steps on the ground through forming a solidarity international team to monitor Israeli violations and the prisoners' suffering and to spread the prisoners' issue in the world in all languages to mobilize the greatest possible international activists and to stand by the humanitarian issues. Equal center expressed worries towards the Israeli dangerous practices against the Palestinian prisoners, calling for allowing prisoners' visits, internationalizing the prisoners' issue, exposing the Israeli violations and the inhuman prisoners' conditions in Israeli jails. The occupied West Bank in general and its city of Ramallah, in particular, witnessed recently, a remarkable escalation in Israeli brutal practices against Palestinian MPs and liberated prisoners. The Israeli forces have increased its violations through seizing MPs' vehicles, a new phenomenon that is described by political analysts as "piracy". Mahmoud Ramahi, secretary-general of the Palestinian Legislative Council, told Quds press that the occupation authorities deliberately invent new ways to crack down on Palestinian MPs and released prisoners after the agreement to stop the policy of "administrative detention", through confiscating their vehicles and their money and their own properties, in a blatant violation to the international humanitarian law. Ramahi pointed out that the occupation authorities did not inform him about the reason for confiscating his car three days ago on a military checkpoint north of the West Bank, and they did not give him any official paper emphasizes its confiscation. While they handed MP Ahmed Mubarak a notification confirming the confiscation of his vehicle under the pretext of "emergency law," which gives the occupation the right to seize any property of the people "were involved in the attacks on Israel security, even if it was on suspicion." The Israeli authorities have confiscated about six vehicles belonging to Palestinian MPs and liberated prisoners over the past three weeks. The Israeli occupation regime released on Monday afternoon Palestinian prisoner Hasan Safadi from Nablus city after he spent more than one year in administrative detention without any guilt. The family of the prisoner along with dozens of citizens came in procession of cars in the morning at Jabara checkpoint east of Tulkarem and waited for long hours before they took Safadi back to his hometown Nablus where a ceremony was held to celebrate his release. The prisoner told a news conference following his release that he earned his freedom after a long battle of steadfastness and days of hunger strike. "Freedom can only be taken forcibly from the occupation which understands nothing but the language of force," he told journalists. For its part, Hamas Movement congratulated the prisoner, his family and the Palestinian people on his release from Israeli jails. "As we, in Hamas, are sharing this joy with our people and brave prisoners, we warn the Zionist occupation of the consequences of its persistence in its violations and crimes against our heroic prisoners and emphasize that their liberation will remain our top priority until they enjoy freedom on the soil of their homeland," Hamas stressed in a press release. Israeli occupation forces arrested a number of young men and wounded a man in his car during violent clashes in Shufat refugee camp to the north of occupied Jerusalem on Monday night. Local sources told the PIC reporter that the Israeli soldiers stormed the refugee camp and fired gas bombs and stun grenades on young Jerusalemites who threw stones at the soldiers and their armored vehicles. They said that undercover agents arrested a number of young men while a man was injured in his car after the soldiers fired a gas bomb that directly hit his car. They said that the car was completely burnt and the man was injured in his back and taken to hospital. The Palestine Center for Prisoners Studies confirmed that the Israeli occupation has arrested the liberated prisoner and the human right activist Osama Hussein Shahin, 31, after storming his house in al-Khalil. The Center confirmed that the occupation forces broke into his home, searched it and destroyed its contents, confiscating two computers and communication devices from the house, and some documents belong to him, before taking him to an unknown destination. The Centre indicated that the prisoner Shaheen is a human rights activist and a liberated prisoner who spent several years in Israeli prisons, he was arrested by the security forces in the West Bank more than 9 times, most recently two months ago, he was dismissed from his work for his political affiliation. Shaheen's family accused the PA security that it has sent his interrogation file during his recent arrest to the Israeli security agencies, which led to his arrest. The family reported that the Israeli officer, responsible for the arrest, was asking Osama while detaining him on the case, for which he was arrested by PA security after the Eid al-Fitr last year. The family expressed fear on his son's live after his arrest by occupation forces, and expressed worries that he could be subject to torture in order to extract from him potentially self-incriminating information, knowing that he suffers from kidney stones. The family held the occupation fully responsible for his life. The center called on human rights organizations to immediately intervene for the release of the captive Shaheen where he was arrested politically without charge in retaliation to his defense of prisoners' issues. The occupation authorities arrested last night and Tuesday morning, seven Palestinians in al-Khalil; including three children, a woman and her son. Informed sources in the town of Beit Ummar, north of al-Khalil, reported this morning that an Israeli force surrounded a house owned by the citizen Wahid Hamdi Abu Maria, 45, accompanied by a big bulldozer and started demolishing part of the house while the family members were inside it. Eyewitnesses stated that the Israeli soldiers transferred Abu Maria, blindfolded, to Etzion camp when clashes erupted, in the area, between Israeli soldiers and angry young residents. An Israeli force also stormed at dawn Tuesday the house of the liberated captive Mohammed Ahmed al-Najjar in the Fawwar refugee camp, south of al-Khalil, then arrested him after destroying and breaking the contents of his house. The occupation authorities also arrested three children from the old town of al-Khalil under the pretext of attacking settlers' cars parked in front of their homes. Human rights sources in al-Khalil city said that the two children, aged 13 years, had been detained for several hours then were released, while the child Mohammed Salem al-Razem, 14, has been held in custody until now. 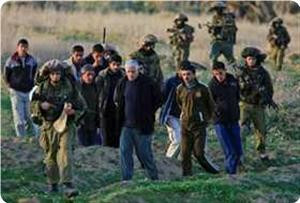 Israeli forces detained seven Palestinians overnight in the southern West Bank, a military spokesman said. The army spokesman told Ma'an that five Palestinians were detained in the Hebron district and two were arrested in Bethlehem. Witnesses in al-Fawwar refugee camp in Hebron said soldiers ransacked the home of Mohammad al-Najjar, a former prisoner, and severely assaulted him in front of his family before shackling and detaining him. Locals told Ma'an that al-Najjar is a member of Islamic Jihad. Meanwhile in Hebron city, Israel troops raided the home of Gamila Hassan al-Shalaldeh and detained her and her 20-year-old son Ragheb al-Salaymeh early Tuesday morning. In Beit Ummar, Israeli forces partially demolished the home of Wahid Abu Maria, 45, before arresting him, local committee spokesman Mohammad Awwad told Ma'an. Awwad said residents threw rocks at the troops, who fired tear gas. He said soldiers imposed a curfew on the town since the early hours of Tuesday morning. An Israeli military spokesman told Ma'an that Israeli soldiers and border police staged a joint operation in Beit Ummar "to prevent terror activities." He said one suspect barricaded himself in his home and that forces used "a number of means to pressure him" to come out. The man was eventually arrested and taken for questioning by security forces. The army official could not immediately confirm that forces demolished the man's home. Meanwhile on Monday, Israeli forces detained three Palestinian teenagers, Palestinian officials said. Odai Barqan 13, Abed Ghaith 13, and Mohammad al-Razem, 14, were accused of painting on a Jewish settler's car. Palestinian officials told Ma'an that Barqan and Ghaith were later released but al-Razem remains in detention. The Israeli intelligence service, Shin Bet, claimed that it discovered during the last few months "an extensive organizational infrastructure" of Hamas in Ramallah and in villages in the West Bank. According to Hebrew media reports; the intelligence service allowed on Monday afternoon publishing the news of the discovery of the organization, and the arrest of about thirty of its members in the city of Ramallah and the surrounding villages. Hebrew media also reported that according to the Shin Bet, the command center was meant to promote the standing of Hamas in the West Bank in order to increase its chances of gaining power in future elections in the Palestinian Authority. According to the Israeli intelligence service, the operatives cultivated Hamas cells in universities with funding and activities, and transferred funds to Hamas prisoners and their families. The military court decided to keep the defendants in custody until the trial is over. The Israeli prison authority decided to release Palestinian prisoner Hasan Safadi who went on hunger strike for long days in protest at his administrative detention. His family told the Palestinian information center (PIC) that the administration of Hadarim jail told the lawyer in charge of his case that Safadi would be let go on Monday at Jabara checkpoint east of Tulkarem city. Members from the family and dozens of his acquaintances will be waiting for him at the checkpoint until he is transported there from the jail. Safadi went on long hunger strike twice after he was jailed on June 30, 2011, the first time was for 73 days and the second time was for 95 days. Earlier on Sunday, the Israeli prison authority released prisoner Omar Abu Shalal from Nablus city. 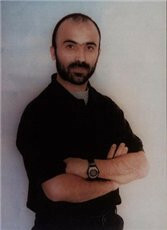 Abu Shalal is one of the prisoners who went on hunger strike for long days in protest at their administrative detention. According to the Palestinian prisoner society, Abu Shalal was administratively detained for 14 months. There are about 308 Palestinians in administrative detention in Israeli prisons, according to the Israeli human rights group, B'Tselem. Neither these administratively detained nor their lawyers are informed of the accusations or evidence against them. No charges are laid and no trial is held against them. Administrative detention is used mainly by Israel against individuals not engaged in violent activities for security claims. The European Union has criticized this Israeli violation of human rights, but Israel still ignores any appeals for ending such repressive policy against the Palestinians. Former hunger striker Hasan Safadi is set to be released from Israeli jail on Monday, according to the terms of a deal to end his strike last month. Safadi stopped a 93-day hunger strike on Sept. 21 after assurances he would be freed at the end of his current administrative detention term, which expires on Monday. 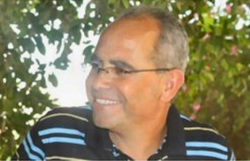 Safadi was detained from his home in Nablus in June 2011, and held without charge. He launched a previous 71-day hunger strike on March 5, which he ended when some 2,000 prisoners joined the strikes, resulting in an agreement with Israeli authorities which included assurances to curtail the practice of administrative detention. When Safadi's detention order was renewed on June 21, he re-launched his strike. Mahmoud al-Ramahi is secretary-general of the Palestinian parliament. The IOF released Dr. Mahmoud Ahmed Ramahi, 49, the secretary general of the Palestinian Legislative Council, after being holding him for five hours at the Hawara checkpoint south of Nablus. A source at the information bureau of the Hamas lawmakers in Nablus told the PIC reporter that the Israeli forces released MP Ramahi and confiscated his car where they stopped him while he was returning to Ramallah from a visit to his sister in Nablus in his car along with his family. An Israeli occupation officer told Dr. Ramahi that he was under arrest and his car would be confiscated and told the family members to take their personal belongings and to call one of their relatives to pick them up at the barrier, the center added. Ramahi, the secretary general of the Palestinian Legislative Council, had served 70 months in Israeli occupation jails and was held under house arrest for seven years in the first intifada. 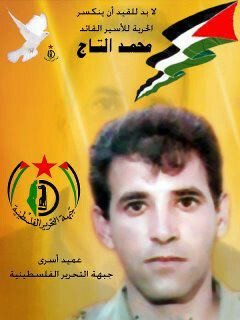 He was released from his last detention on 9/9/2012 after ten months of administrative detention, without charge or trial. Israeli forces detained the secretary-general of the Palestinian parliament Mahmoud al-Ramahi on Saturday afternoon as he passed through a northern West Bank checkpoint. Al-Ramahi was driving south from Nablus when he was seized at the Huwwara checkpoint. His car was also confiscated. The MP was last released from Israeli jail less than four months ago. An Israeli military spokeswoman confirmed the detention and said he is "suspected of involvement in illegal activity," without elaborating. Months after al-Ramahi was appointed to the leadership the Palestinian Legislative Council in 2006, he was seized by Israeli forces in his hometown of al-Bireh, near Ramallah, as part of a sweep of arrests after Hamas won elections. 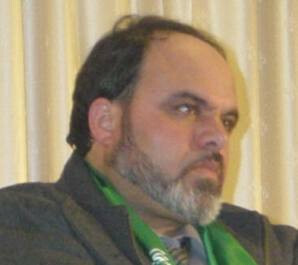 Al-Ramahi, a medical doctor, was elected on the Hamas-affiliated Change and Reform list. He was jailed from August 2006 until March 2009. The MP was again arrested in November 2010, and held in administrative detention until July 4 this year. Al-Ramahi has brokered talks between Hamas and Fatah, and Hamas officials said his last detention was an Israeli attempt to disrupt reconciliation talks. According to latest statistics, 13 Palestinian MPs are being held in Israeli jails. Human Rights Watch on Friday urged Israel to stop harassing members of prisoner rights group Addameer. "It’s deeply ironic that Israel is arbitrarily detaining a researcher who has documented arbitrary detention, and violating the rights of the head of a human rights group," said Sarah Leah Whitson, HRW regional director. On Oct. 15, Israel arrested Addameer's researcher Ayman Nasser in a night raid on his home in Saffa, near Ramallah. Nasser told his lawyer he had been interrogated over media interviews he gave, and his work with a youth center in his village. Addameer says the Handala center holds educational and artistic events in Saffa. The researcher told an Israeli military court on Saturday that he had been blindfolded and shackled during interrogation sessions up to 10 hours long, and that Israeli officials had not allowed him to receive three of five medicines he needs. Addameer has expressed particular concern about Nasser's health, noting that until his arrest he was receiving constant medical treatment by specialized doctors for health issues including an inflamed colon and back pain. When not being interrogated, Nasser is being held in isolation, Addameer says. Nasser told the military court that "every human being has opinions and positions and if it's not violating the law he can freely think and speak these opinions. "I am a human rights defender who supports the Palestinian prisoners and I represent my opinions in the public media. My thoughts are not secret, they are public, and everyone knows them." Nasser has not been charged with any crime or allowed to see any evidence against him. His detention was renewed on Wednesday for another nine days. Meanwhile, Israel has banned Addameer's chairman Abdullatif Ghaith, 71, from traveling abroad since August. Israel's military has also banned him from entering the West Bank, where Addameer's offices are located, from East Jerusalem, where he lives, since October 2011. "The refusal of the Israeli authorities to make public any evidence to substantiate the reasons for the travel ban against Ghaith means that he has been denied a meaningful opportunity to challenge the ban in court," HRW said in a statement. "Israel should provide valid justifications for its measures against Nasser and Ghaith or drop those measures immediately," the US-based group added. The Israeli military court extended on Thursday the administrative detention of Bassam al-Saadi, an Islamic Jihad leader, for the second consecutive time where he was supposed to be released early next November. 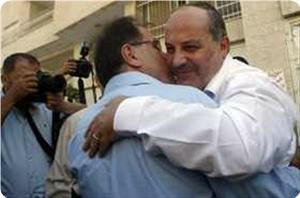 The Israeli army has arrested Sheikh al-Saadi, in May 2011, following the signing of the reconciliation agreement in Cairo, where the Israeli forces waged arrests campaign against leaders and cadres of the Islamic Jihad movement in the West Bank. Shiekh al-Saadi was liberated after spending 8 years in Israeli jails 2 of them in administrative detention, and then he was re-arrested after only 54 days after his release. Shiekh al-Saadi, one of Marj al-Zohoor deportees, has two sons who were martyred during al-Aqsa Intifada, Ibrahim and Abdul Karim, in addition to the martyrdom of his mother and his nephew. The Palestine Center for Prisoners Studies called for a halt of Israeli brutal violations against Palestinian prisoners during Eid. The center wished, in a statement issued on Thursday, a happy and blessed Eid for all Palestinian prisoners in Israeli jails, nearly 4600 detainees, on the auspicious occasion of Eid ul-Adha, hoping that they would be free by the next Eid. Riad Ashkar, the center's director, called on human rights and humanitarian organizations topped by the Red Cross to pressure the Israeli occupation to stop its arbitrary practices against prisoners during Eid, where they are trying on this occasion to forget their wounds and suffering, and to share Eid blessings despite their different political orientations and affiliations, showing a great will and determination despite any Israeli measures. Ashkar confirmed that during such occasions, the Israeli authorities deliberately implement arbitrary practices against Palestinian prisoners, including depriving prisoners of family visits, and preventing exchange visits between the prisoners' rooms, and moving detainees between prisons, isolating some of the prisoners in solitary confinement, preventing them from performing Eid prayer, in addition to exercising searches and raids at the night before Eid, aiming to spoil their joy of Eid. The center also called on international institutions to pressure the occupation to allow prisoners' families' visits from the Gaza strip which will ease their suffering. The center also called on The Palestinian people and factions to visit the prisoners' families during the Eid days, to ease their pain and heartbreak because of their sons' absence in the Eid. Israeli occupation forces (IOF) stormed on Tuesday the house of abducted MP Ahmed Abdul Aziz Mubarak, searched his house and damaged its contents and confiscated some of them. MP Mubarak's family confirmed that a large force of the Israeli army stormed the house after midnight, and has searched it thoroughly before confiscating his car under the pretext that it is “the property of a non-legitimate party". The abducted MP Ahmed Mubarak's trial was slated for Wednesday at the Ofer Military Court, within expectations to release him on bail. For their part, Islamist MPs in West Bank stressed that these practices reflect the Israeli failure in front of the MP Ahmed Mubarak's steadfastness where the Israeli intelligence seeks to keep MP Mubarak in Israeli jails. "The occupation is trying by all means and ways to undermine the MP Ahmed Mubarak's steadfastness and will after the investigators' failure before his patience and determination", the MPs added. The Islamist MPs stressed that the arrest of members of the Legislative Council by the occupation forces is "an Israeli illegal practice, confirming that they are detained politically aiming to disrupt the work of the Legislative Council." BETHLEHEM (Ma'an) -- Israeli forces detained nine Palestinians overnight in the occupied West Bank, the Israeli military said. 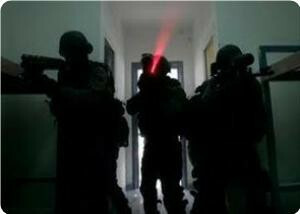 An army spokesman told Ma'an that the Palestinians were arrested in raids across the West Bank. Soldiers detained one Palestinian in Jenin, one in Tulkarem, two each from Nablus and Hebron, three in Ramallah, and one in Tubas, the spokesman said. Israeli military court extended the detention period of Addameer researcher and human rights defender, Ayman Nasser, 42, for a further nine days for interrogation. 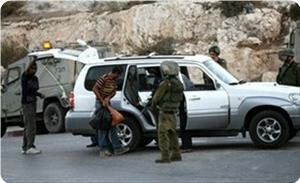 Israeli forces arrested Ayman from his house in Safa village southwest of Ramallah on 15 October 2012. Addamer lawyer, Mahmoud Hassan, said that Ayman was interrogated several times. The main focus of the interrogation continues to be his civic activities relating to his role in advocating for the rights of Palestinian political prisoners and his involvement in the Handala Center, which is an educational, artistic center in Ayman's village Saffa and of which Ayman is the Chairperson. The lengths of the interrogation sessions have varied from between three to ten hours. Addameer is extremely concerned for Ayman's health as he continues to be denied the appropriate medication. As previously reported Ayman suffers from a number of health issues including inflammation in his colon and back pain. Until his arrest he was receiving constant medical treatment by specialized doctors. Israeli Special Forces "Nahshon" stormed into section 14 in Nafha Israeli prison. Palestinian Prisoners' Society said in a press release that Israeli forces raided the section, transferred the prisoners from their cell, and started to search and rummage with the prisoners' personal properties. The Prisoners' Society also said that this searching campaign lasted for several hours and other prisoners were also concerned that their rooms would also be searched. Palestinian detainee, Ayman Ash-Sharawna, has been on hunger strike for 115 days, and stopped drinking water on Wednesday, escalating his strike as Israel still refuses to release him, and due to pressures practiced against him by the Prison Administration. A lawyer of the Palestinian Prisoner Society (PPS) managed to visit Ash-Sharawna on Tuesday at the Ramla Prison Clinic; the detainee told him that he refuses to be exiled in exchange for his release, and will continue his strike “until freedom or death”. “Officers of the Prison Administration held several meetings with me, and proposed deporting me or placing me under Administrative Detention without trial”, Sharawna stated, “I will never accept to be deported or imprisoned without charges, I will continue my strike”. It is worth mentioning that Sharawna repeatedly loses consciousness, and faces repeated sharp migraines, headaches, and is gradually losing his memory. The PPS said that the health situation of Sharawna is very serious, and is seriously deteriorating. It voiced an appeal to the International Community to intervene and secure his release. Tens of Palestinian citizens participated on Tuesday in a sit-in outside Ofer prison in solidarity with the Palestinian prisoners on hunger strike and the liberated prisoners who were re-arrested in recent months by the Israeli occupation forces (IOF). Violent clashes broke out between the demonstrators and IOF soldiers while trying to break the sit-in, where the soldiers fired tear and toxic gas and rubber bullets, causing injuries to protesters and dozens of cases of suffocation. A number of national forces' leaders and national factions and a group of representatives of human rights organizations and women and youth's associations participated in the sit-in that came in conjunction with the trial of the liberated prisoner Samer al-Issawi who has been on hunger strike for 84 days. The protesters called on the Egyptian leadership and the international community to pressure Israel to respect the Wafa al-Ahrar exchange deal. Israeli prison guards physically and verbally abused a long-term hunger striker at Nafha jail on Monday, witnesses said. Samer al-Issawi, who has been on hunger strike for 85 days, was attacked, pushed to the ground and insulted by guards on his return to Nafha jail from Ofer military court Monday, prisoners who witnessed the attack told their lawyer Ibtisam al-Anati on Wednesday. A military judge postponed Issawi's hearing on Monday and the prisoner did not appear in the courtroom, his sister Shireen Issawi said. Issawi was one of eight prisoners rearrested after their release in the Oct. 2011 prisoner exchange between Israel and Hamas. The Hurriyat rights group said its lawyer was prevented from seeing Issawi even though she had a permit. The Palestinian prisoners society said Wednesday that the Nahshon special forces raided section 14 of Nafha jail on Wednesday and ransacked cells. The Israeli occupation forces (IOF) kidnapped on Tuesday evening two students of Al-Khalil university in the context of its security cooperation with the Palestinian authority. RAMALLAH (Ma'an) -- Around 150 protestors demonstrated on Wednesday in front of an Israeli chain store east of Ramallah, the Popular Struggle Committee said. Four activists were detained and several injured as Israeli police and soldiers broke up the demonstration, a statement said. 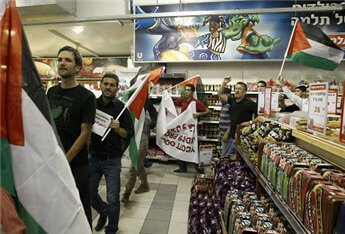 Palestinian, international and Israeli protesters gathered outside of a branch of the Rami Levi store, chanting slogans and carrying banners calling for a boycott of Israeli products. "As long as there is no justice to Palestinians, Israeli and settler daily life can’t continue on as normal," the committee said. Basim Tamimi, the head of the Popular Committee of Nabi Saleh, was beaten and suffered broken ribs and several other people were injured, the popular committee said. The protest took place near the village of Mikhmas, east of Ramallah. There are several Rami Levi stores in the occupied West Bank, which attract both Israeli and Palestinian customers. An Israeli military court on Monday postponed a hearing for the Jerusalemite prisoner Samer al-Issawi who has been on hunger strike for 83 days. Israeli police did not bring Samir Issawi to Ofer courtroom and judges did not set a new date for the hearing, his sister Shireen Issawi told the Palestinian Prisoners Society. Samer al-Issawi has launched his hunger strike since 84 days, respectively, to protest against his re-arrest after he had been released under the "Wafa al-Ahrar" prisoner exchange deal. 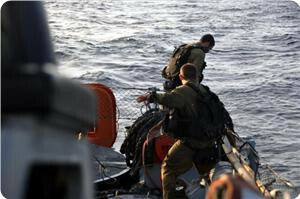 The Israeli navy on Monday kidnapped four Palestinian fishermen from one family off the coast of Gaza city and took them to Ashdod port. Dean of Palestinian fishermen Nizar Ayyash told Quds Press as saying that Israeli gunboats intercepted a Palestinian fishing boat near the coast of Gaza city boarded by four fishermen from Bakr family and took them in chain to Ashdod port. Ayyash condemned Israel's persistent violations against the Palestinian fishermen, noting that its naval forces killed about one week ago a fisherman and wounded another as they were fishing in Gaza waters. Israel started to tighten its restrictions on fishermen's movement at Gaza sea in 2000 and gradually banned them from sailing more than three nautical miles off the coast of Gaza instead of 20 miles as stipulated by its Oslo agreement with the Palestinian authority. Jewish settlers attacked a Palestinian family in Tel Rumaida, Al-Khalil, on Monday, while harvesting their olive crops, local sources said. Issa Amre, the coordinator of youth against settlement, said in a press statement that the settlers came from settlement outposts near Tal Rumaida and assaulted the Ezza family. He said that Israeli occupation forces arrested two Palestinians and a foreign solidarity activist for defending the family during the attack. Amre said that the soldiers did not intervene to stop the attack, noting that the settlers do not stop attacking Palestinian farmers during the harvest season. 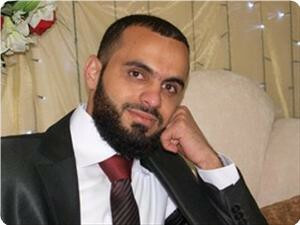 The occupation authorities renewed the administrative detention of captive Abdul Salam Jamal Abu Hija, 28, for the third time respectively. 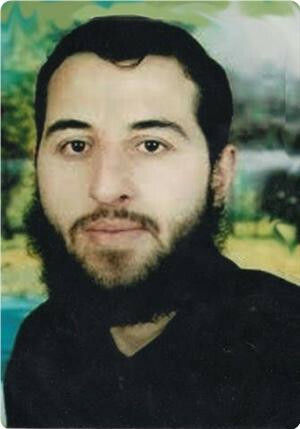 Abdul Salam was detained on 13 December 2011 and was transferred for 6 months to the administrative detention, which was then renewed for another 5 months. His father and Hamas leader, Sheikh Jamal Abu Hija, has been incarcerated in solitary confinement since seven years, and was sentenced to nine life-terms in prison. Israeli Intelligence transferred the Qassami detainee Mohammed Attia Abu Warda,36, from the prison of Nafha to al-Maskoubiya detention center in occupied Jerusalem for interrogation. Ihsan Abu Warda, the detainee's cousin told PIC that the lawyer Jawad Boulos informed the prisoner’s mother yesterday evening that the occupation forces have transferred Abu Warda from Nafha prison, despite his arrest since 10 years, and turned him to the interrogation department at al-Maskoubiya center without giving reasons. confirmed that his cousin's transfer coincides with the presence of his wife Nora Jabari in the interrogation center for the past two weeks. 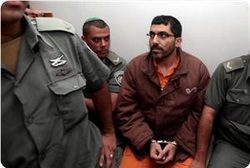 The Israeli occupation forces had sentenced Mohamed Abu Warda to life in prison 48 times on allegations of masterminding operations that were carried out by Al-Qassam Brigades, the armed wing of Hamas, following the outbreak of the Aqsa Intifada in 2000. Horriet Center for the defense of Liberties and Civil Rights strongly condemned the procedures of the Israeli prison service against hunger striking captive Samer al-Issawi. Horriet said that it has been following up with great concern the procedures taken by the Israeli prison administration at Nafha against captive Issawi, noting that the occupation authorities has been deliberately and continuously transferring Issawi from Nafha prison to several detention and interrogation centers without any justification, in an attempt to exhaust him and punish him for launching an open-ended hunger strike. Horriet stressed that such measures against the prisoner Issawi are designed to undermine his determination and push him to end his hunger strike. It held the occupation prison service and the Israeli government fully responsible for the captive's life, calling on the international human rights organizations to condemn such punitive policy. The Center also called the Egyptian sponsor to immediately intervene to save Issawi's life as well as the lives of captives Samer al-Barq and Ayman Sharawna, who entered his 113th day of strike hunger, and to release the prisoners who had been re-arrested after their release under the prisoner-exchange deal. Al-Mizan center for human rights said it is deeply concerned about the deteriorating health status of Gazan hunger strikers in Israeli jails. In a report on Sunday, the center stated that prisoner Ayman Al-Sharawna has been on hunger strike for 113 days and was transferred to Ramla hospital, while hunger striker Samer Isawi, 82 days, was denied any medical treatment or visits by doctors sent by the Red Cross. Sister of hunger striker Isawi Shereen told the center that her brother lost 18 kilos of his weight, suffer from fainting spells, pains in different part of his body, urinary bleeding and other symptoms. According to the report, other prisoners also resumed their hunger strike after the Israeli prison authority violated its agreement with them to fulfill their demands during their first strikes. Among those hunger strikers are prisoner Samer Al-Barq who restarted his strike earlier this month, specifically on October 14, in protest at renewing his administrative detention and not fulfilling an Israeli pledge to release him and send him to Egypt. Barq was on hunger strike for 124 days and suspended his strike after Egypt agreed to receive him based on an Israeli pledge to release him and transfer him there. Another Gazan prisoner named Imad Sarhan resumed his hunger strike also earlier this month in protest at not ending his solitary confinement. Israeli occupation forces (IOF) rounded up four Palestinians on Monday including a woman in occupied Jerusalem. The Aqsa foundation said that Israeli policemen arrested a Jerusalemite woman while entering the holy Aqsa mosque in occupied Jerusalem. It said that the woman, attending seminars inside the mosque, was taken to an interrogation center. The Hebrew radio earlier reported that three “wanted” Palestinians were arrested in Nablus and Ramallah on Monday. Trade unionists and former prisoners in Israeli prisons called on the Jordan's King Abdullah II to intervene immediately for the release of the Jordanian prisoners detained in Israeli jails. "The successive governments have ignored the prisoners' issue," they said during the festival held by Jordan's National Committee for Prisoners and Missing Persons on Saturday in trade unions headquarters under the title "Freedom for our prisoners". "The unions will defend the prisoners' issue till they return to their families safely", the unionist Mahmud Abu Ghenima said. He was surprised at the Jordanian governments' ignorance towards the prisoners' issue, saying: "It has become known that the issue of the prisoners does not pose any priority for the successive governments," stressing that the issue of prisoners is an issue of all the Jordanian society. For her part, the liberated prisoner Ahlam Tamimi stressed on the suffering of the prisoners, however, this issue was not mentioned in the government's program and the House of Representatives. 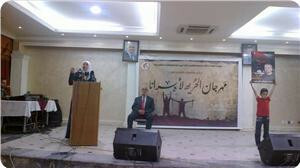 She stated that the prisoners' families are the only active element in the prisoners' issue, calling on the Jordanian government to bring even one achievement that makes prisoners see their families once a year. The retired Colonel Mahmoud Guéré, the representative of the families of the Bani Hassan, has talked about the suffering of the prisoners, calling on the Jordanian government to intervene to release the Jordanian detainees in Israeli jails. During the festival, children held their fathers' pictures, detained in Israeli prisons. Palestinian prisoner Riad Amour was transferred to Israeli "Tel Hashomer" hospital to undergo an open-heart surgery after his health has seriously deteriorated. Local sources in Amour's hometown in Bethlehem reported that the captive, who has been sentenced to 11 times life imprisonment, had been recently transferred to the Israeli "Asaf Harofe" hospital for a pacemaker implantation, but his health did not improve which required his transfer to "Tel Hashomer" hospital. The sources pointed out that the prisoner Amour, 42, has been suffering for three years from frequent and almost daily fainting the intensity of which recently increased as he started fainting five times a day. The Israeli occupation authority (IOA) has extended the administrative detention of Dr. Mohammed Ghazal from Nablus for the third consecutive time. The Palestinian Prisoners Society (PPS) reported on Wednesday evening that ailing Palestinian detainee, Mohammad At-Taj, imprisoned by Israel is facing deteriorating health conditions and requires urgent specialized medical attention. The PPS said that At-Taj spends 17 hours a day on a respirator, and is suffering from several complications and infections in his lungs. PPS Lawyer Eyad Mahameed visited At-Taj at the Hadrim prison clinic; At-Taj told Mahameed that the air in the room is not pure, and that the ventilation system is very bad. Mahameed stated that At-Taj faints and loses consciousness every time he spend two hours or more away from the ventilator. He demanded Israel to move At-Taj to a specialized hospital so he can receive the urgently needed medical treatment. The Lawyer further stated that an Israeli committee for early release will be looking into an appeal filed on behalf of At-Taj demanding his early release due to his deteriorating health condition. At-Taj, 39, is from the central West Bank city of Tubas. It is worth mentioning that more than 204 Palestinians died in Israeli prisons, since 1967, and detention centers due to the lack of adequate medical attention and extreme torture. 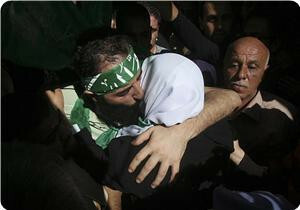 Marking the first anniversary since the implementation of the Egyptian-mediated prisoner-swap deal that secured the release of 1037 of Palestinian detainees, the Al-Qassam Brigades published a video detailing the planning and actual implementation of the cross border attack against an Israeli military base in June 2006 leading to the abduction of corporal Gilad Shalit. The video includes never before seen clips and interviews with the fighters who planned and carried out the attack, and details stages of preparation, planning, surveillance and reenactment of the actual attack. The video is 44:42 minutes long and was entirely filmed, produced and published by the Media Unit of the Al-Qassam Brigades, the armed wing of the Hamas movement. takes place in the camp and around it, shift changes, types of armored vehicles and tanks, and all related info. The surveillance continued while other fighters were digging the tunnel that led to the camp based on surveillance info collected on a daily basis. 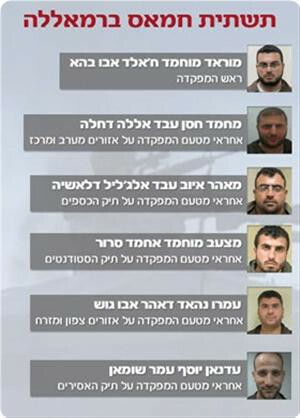 Seven fighters were then selected to conduct the actual attack against the Israeli military camp. The selected fighters underwent extensive training that included training on how to infiltrate into the base, how to be prepared for face to face confrontation, and any other urgent situation that might occur. Initially, the fighters were never informed of the objective of their attack, and were provided the full details just two days before the actual implementation. They received further training on sharp shooting, how to effectively use rocket-propelled grenades, how to capture soldiers and how to keep the captured soldiers alive. The fighters were then kept in an isolated place for two days without any outside contact, and then they carried out their attack. They infiltrated into the base via an underground tunnel while other fighters clashed with monitoring towers to divert attention away from the fighters who actually managed to infiltrate the base. Shalit was captured after the fighters killed two soldiers who were with him in the tank, and were trying to use the equipped heavy automatic rifle, as they could not fire shells due to the fact that the fighters were close to their tank. The two last days before the attack, the fighters kept firing homemade shells targeting the camp and nearby Israeli settlements to divert attention away from the actual plan to infiltrate the base. Hamas militants led a mass march in the Gaza Strip on Thursday to mark the anniversary of a prisoner exchange for a captured Israeli soldier. Tawfiq Abu Naim, the chair of a group representing released prisoners, told Ma'an that Palestinians call on Hamas and other factions to capture more soldiers to secure the release of more prisoners. Abu Naim said all Palestinian people supported the capture of Gilad Shalit in 2006. Israel freed over 1,000 prisoners in an exchange with Hamas for the captured soldier last year. At a news conference in Rafah the spokesman of Hamas' armed wing, the al-Qassam Brigades, pledged further prisoner exchanges. "This swap deal will not be the last. We will always act in order to secure the release of all detainees," Abu Obaida said. "We promised, we fulfilled our promise; we will always fulfill our promises. The release of the detainees is our top priority, and the resistance will always work to achieve this goal." He thanked the resistance and saluted fighters killed in the abduction of Israeli soldier Shalit as well as all those killed while resisting occupation. He added: "Armed resistance groups will always defend their people, will always act for the liberation of Palestine, and the release of all detainees." His group says it will release a documentary Thursday showing exactly how Shalit was captured. The video includes scenes that show all stages of the detention process and includes the tactics used in the operation. Much of the footage has never been released. In remarks broadcast Wednesday, Shalit said he would still send his children to the army despite his unfortunate experiences. Military service is mandatory in Israel. "It will be hard for me to send my children to the army, but in the end the state got me out of there," Shalit said in a documentary aired on Israel's Channel 10. "I have no doubt I will send my children to the army. I hope that by then they won't have to go, but for now it doesn't look like that is on the horizon." As part of the Shalit deal, nearly 200 Palestinians from the West Bank were sent to Gaza. On Wednesday, Palestinian officials said Israel agreed to allow 18 of them to return home after the holidays. Director of Hamas's prisoner affairs Salah Al-Aruri said the date set for the return of 18 Palestinian ex-detainees to the West Bank was delayed until next month. Aruri explained the reason behind the rescheduling was that the Israeli side made some prerequisites that affect the Egyptian-brokered swap agreement that took place last year. He added that in light of these developments and Israeli obstructions, Hamas wanted to give the Egyptian mediator enough time to finish some technical arrangements that guarantee the safe return of the ex-detainees along with their new families, especially since some of them got married from Gaza. The official stressed that the issue of prisoners would always remain a top priority for Hamas and it is committed to working hard to protect them and extract their freedom. For its part, the association of released prisoners said preparations are underway for the return of 18 ex-detainees who were freed as part of the swap deal between Hamas and the Israel occupation state. The association noted that these ex-detainees might return to their homes this Thursday, but an obstacle related to the Israeli request to interrogate them as a condition for their return came to the surface at the last minute. GAZA, (PIC)-- Al-Qassam Brigades, the armed wing of Hamas, reiterated its pledge to extract the freedom of all Palestinian prisoners in Israeli jails. "We reassure our prisoners that any coming deal will not happen without the release of those whom the enemy insisted on not freeing," spokesman for the Brigades Abu Obeida told a news conference on Thursday on the first anniversary of the prisoner swap deal. The spokesman said the last swap deal disturbed Israel's calculations and dispelled its illusions. He stressed that Al-Qassam Brigades would always remain caring for its people and their national cause, especially the issue of Palestinian prisoners in Israeli jails. In another press release issued on the anniversary and posted on its website, Al-Qassam Brigades said the liberation of prisoners is one of the defining moments in the history of the Palestinian people and their struggle against the occupation. "Without struggle and resistance, the rest of our prisoners will never be free, so our people has the right to celebrate and consider this event a historical turning point made by them and their valiant resistance," the Brigades underlined. Israeli occupation forces (IOF) rounded up three Palestinians in Al-Khalil village of Dura at dawn Thursday, local sources said. They said that the soldiers burst into three suburbs in the village and took away the three citizens to an undisclosed location. Locals reported a number of similar IOF incursions in two other villages south of Al-Khalil on Thursday during which houses were searched but no arrests were reported. Israeli occupation authorities (IOA) decided on Wednesday to renew the administrative detention of former minister Issa Khairy al-Jabari for four months, under the pretext that he "constitutes a security threat", where he was supposed to be released after ending his last administrative detention. The former minister's administrative detention has been renewed five times since his arrest 18 months ago, based on what the so-called a "secret file". 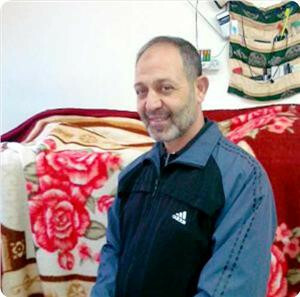 Al-Jabari, who was arrested several times and spent seven years in Israeli jails, was the Minister of Local Government in the tenth government, and held several positions in community support organizations in al-Khalil. He is a much loved person in the community. The Israeli occupation authority (IOA) on Thursday postponed the trial hearing of MP Ahmed Mubarak from Ramallah. A spokesman for the Islamic MPs in Ramallah told the PIC that the hearing was adjourned till next Wednesday 24/10, recalling that Mubarak was taken from his home in mid July. The MP was detained in Israeli occupation jails for more than once the most prominent being during the Israeli campaign of arrest in lines of Hamas MPs and ministers in July 2006 in the wake of the capture of Israeli soldier Gilad Shalit. Palestinian sources in the southern Negev in the 48- occupied Palestine reported that large forces of Israeli police, special units and border guards, stormed at dawn Wednesday the village of "Bir Hadaj", in southern Negev, raided the houses and arrested about 10 citizens. Saqr Abu Salouk, member in the media committee of the High Steering Committee of the Arabs of the Negev, stated that the arrests took place at dawn after raiding the houses. He said that it is for the first time this occupied region witnesses the arrests of such a number of inhabitants, considering this procedure an escalation by the Israeli occupation authorities against the Arabs of the Negev. Saqr added, in a statement to "Quds Press" news agency, that the occupation accused the detainees of resisting the occupation and preventing Israeli policemen and Ministry of Interior officials from posting demolition orders against a number of houses, which were claimed to be built without permits, last Thursday. He also reported that clashes erupted between villagers and Israeli forces which used live bullets, rubber-coated bullets and tear gas against the villagers, who have succeeded to prevent the occupation authorities from affixing the demolition orders. Abu Salouk stated that these arrests took place one day before the demonstration, which Palestinians intends to organize tomorrow, Thursday, in front of the offices of the Israeli Interior Ministry in the city of Beersheba in southern 1948- occupied Palestine, in protest against house demolitions in the Negev. He pointed out that the High Steering Committee of the Arabs of the Negev, will hold a meeting to discuss the situations in the Negev and the campaign of arrests, and will appoint lawyers to defend the detainees. Abu Salouk considered that the events in the village of "Bir Hadaj" confirm that the primary objective of the occupation is to seize the lands of of the Palestinian residents in the Negev. LONDON, (PIC)-- European Network for the Defense of the Palestinian prisoners’ rights launched an international campaign calling for the release of captive Dirar Abu Sisi. Abu Sisi was kidnapped from the Ukraine on February 18, 2011, and had been held by the Israeli occupation authorities in solitary confinement in Ashkelon Prison. The European Network has noted that it aims, through this campaign, to allow the voice of captive Dirar to reach the world, the decision-makers and the politicians, especially in the European continent from which he was kidnapped. Prisoner Abu Sisi, 43, was kidnapped while he was traveling on train from the city of Kharkov to Kiev, in the Ukraine, and was then transferred to the Israeli prisons. He is held in solitary confinement in Ashkelon, suffering from difficult psychological conditions as well as serious health problems and chronic conditions. Abu Sisi was severely tortured and deprived of sleep during his interrogation, which lasted nearly 65 days. The occupation authorities have been also preventing his wife and his six children from visiting him or calling him since the moment of his arrest. The European Network pointed out that the continuation of the isolation of prisoner Dirar Abu Sisi confirms that the occupation did not abide by the item on releasing all the prisoners from solitary confinement, in the Egyptian-brokered agreement between Palestinian captives and the Israeli occupation prison authority, in May . The campaign called for prosecuting the occupation leaders and bodies responsible for this arrest and for the violation of the sanctity and the sovereignty of the European territories in European courts. Israeli occupation forces (IOF) stormed Silwan town in occupied Jerusalem at dawn Wednesday and rounded up a number of young men including two brothers. Wadi Hilwa information center said that a joint force of the Israeli army, police and intelligence stormed the town and launched an arrest campaign, mentioning the names of three youths who were taken in the process. The Israeli police had also arrested a 33-year-old Jerusalemite on Tuesday night while returning to his home in Tur suburb. Samer Abu Sebatan, a father of four children, was charged with throwing stones at Israeli security forces who barged into the Aqsa mosque two weeks ago. Two Palestinian citizens were nabbed in the Balata refugee camp to the east of Nablus at the hands of Israeli occupation forces (IOF), local sources said. The sources told PIC reporter that the IOF soldiers arrested Yazan Asy and Amir Sawalme after breaking into their homes on Tuesday night. Meanwhile, IOF soldiers raided Bani Naim and Halhul villages in Al-Khalil on Wednesday and searched vehicles in their main streets, locals reported. The Palestinian prisoners in Ramon jail said they suffer from humiliating unjustified strip searches and noticeable medical neglect among other violations committed against them by the prison administration. The international Tadamun (solidarity) foundation for human rights said the israeli administration of Ramon jails avoids the obligations it had undertaken following the hunger strike of prisoners, especially with regard to allowing Gaza detainees to see their families. The foundation quoted in a statement prisoner Samir Murtaja as saying that the Israeli jailers of Ramon force them to strip search before and after they are taken to courtrooms, or visited by lawyers or families even if their security body scanners detect no suspicious items. Another prisoner named Saeed Arar complained that the prison administration medically neglect them and do not provide them with appropriate treatment. He said the prisoner prefer enduring pains and staying in their cells to going to Ramla hospital where they are maltreated by soldiers of Nahshon unit. The Palestinian center for prisoner studies said the Israeli regime violated its prisoner swap agreement with the resistance and re-jailed eight Palestinian prisoners after they were released as part of the deal. This came in a report issued on Tuesday on the first anniversary of the swap deal that were made between the Palestinian resistance and the Israeli occupation regime and led to the liberation of 1,027 Palestinian men and women from Israeli jails in October 2011. Information director of the center Riyadh Al-Ashqar said the Israeli regime justifies the recapture of these Palestinian ex-detainees by claiming there is a military order number 186 that was devised a few days before the signing of the swap deal and enable it to rearrest the released Palestinians based on confidential evidence. Ashqar added that this Israeli justification proved the bad faith it held before the signing of the swap agreement with the Palestinian side. Apart from these eight prisoners, the official noted that the Israeli regime also rearrested other Palestinian ex-detainees who were released as part of the 2011 swap deal, but later it released them again or exiled them as happened to the Palestinian woman Hana Shalabi who were re-kidnapped and then banished to Gaza following her hunger strike. In a related context, the Palestinian information center (PIC) issued a long report in Arabic commemorating the first anniversary of the swap deal that falls tomorrow, September 18. The report said the anniversary day is not a normal day in the history of the Palestinian people because it has changed the lives of hundreds of Palestinian families whose sons and daughters were released following a deal described by many political observers as "honorable." The PIC report also included statements made by some of the ex-detainees who obtained their freedom in this deal that is known locally as "Wafa Al-Ahrar" (the commitment of freemen). The ex-detainees, in general, expressed their appreciation to the Palestinian resistance for fulfilling their pledge to release prisoners and affirmed that their freedom was impossible without this prisoner swap deal. The return to the West Bank of 18 released prisoners who were deported to the Gaza Strip has been postponed until after the Muslim holiday Eid al-Adha, Palestinian officials said Wednesday. A year on from their release, the ex-prisoners are due to return to their homes in the West Bank. They were freed under the Oct. 2011 prisoner swap deal between Israel and Hamas and exiled to Gaza for one year. The PA detainee affairs minister told Ma'an that Egyptian mediators were coordinating the ex-prisoners' return to the West Bank. Issa Qaraqe said Hamas had asked Egypt to delay the transfer until after the Muslim holiday, which begins Oct. 26, so ex-prisoners who have married women in Gaza could spend Eid with their wives. Abdullah Qandil, spokesman for the Gaza-based Waed Prisoner Association, told Ma'an that Israel has refused to allow the prisoners' wives to accompany them to the West Bank. Hamas official Salih al-Arouri said the postponement was due to Israeli preconditions which breached the original agreement. Al-Arouri said Egyptian mediators would overcome obstacles to the ex-prisoners' return and that technical arrangements were needed to guarantee that the former prisoners could return home with their wives. Meanwhile, some of the 18 ex-prisoners have gone to Saudi Arabia to perform the Hajj pilgrimage, he added. Israel exiled 163 prisoners to the Gaza Strip and 40 more to other countries in the region in the swap deal to free Israeli soldier Gilad Shalit. 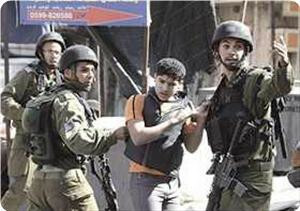 The Israeli occupation forces (IOF) arrested during the first half of October at least twenty Palestinian children during arrest campaigns carried out in occupied West Bank and Jerusalem, a Palestinian report revealed. Intensive preparations are being made to host the international conference in support of Palestinian and Arab prisoners in Israeli jails, next November, which will be held in the Ministry of Human Rights, said Anouar Gharbi, a presidential adviser in charge of international relations. The Preparatory Committee for the conference is putting the finishing touches on the invitations that have been extended to many human rights activists and politicians around the world to participate in the defense of the Palestinian prisoners' just cause, he confirmed. Gharbi told Quds press that 40 international human rights personalities and political figures confirmed their attendance of the conference, which will be held under official auspices of the Republic's President Moncef Marzouki. The conference idea was inspired in light of the Tunisian revolution that erupted for freedom, dignity and the Liberation of Palestine, and also for the defense of the Palestinian prisoners' issue which is supported by all the Tunisian political elites and human rights activists and supporters of freedom in the world, he added. He confirmed that 40 international human rights personalities and political figures accepted to participate in the conference, stressing that the Preparatory Committee for the conference is putting the finishing touches on the preparations in general. We believe that the defense of prisoners is an honor to each Tunisian and even to each free person in the world. The conference does not constitute a burden on our revolution nor on our country, he added. He affirmed that that delegations of more than thirty countries around the world will take part in the conference that will discuss and activate supporting the prisoners' steadfastness and help them regain their freedom, on the basis of the International Law.